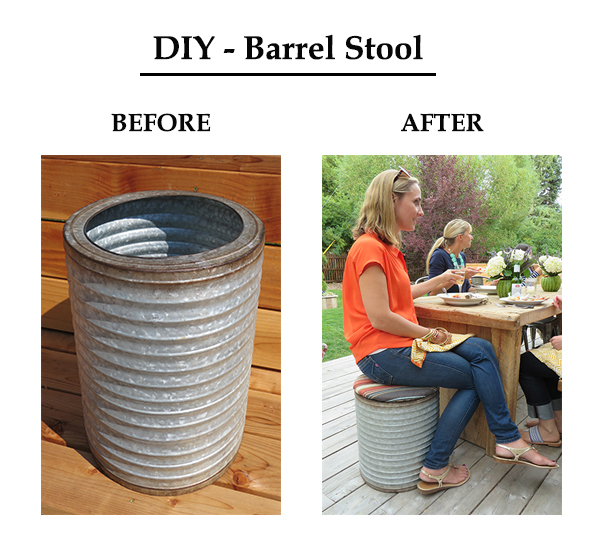 Hi guys, it's me, that girl katie, We made some additions to our porch this summer which I will reveal later but one project I accomplished last week was turning 2 barrels into 2 extra seats for our long rustic outdoor table. This was my 1st upholstery job too. Here are my 9 steps. I can also stash away items inside the barrel. Gotta love pieces that are both useful and functional.